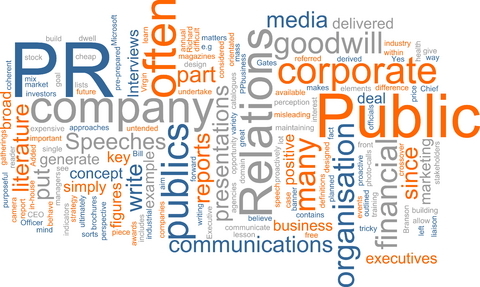 Public relations is a multi-faceted business discipline. In this post in-house, agency, industry association and academic PR professionals, as well as a marketer and a market researcher, all highly reputable and respected, share their definitions of PR. Facets include: two-way and not necessarily intermediated communication; increasing brand awareness; helping organisations articulate compelling stories; engaging target audiences; creating, renewing and improving relationships; delivering positive publicity; encouraging social change and community mobilisation. Public relations is in the throes of change from a control and command communications model towards a hybrid hierarchical model, allowing the emergence of ‘messenger communities’ and ‘connectors’ to create a collective consciousness of opinion on any subject matter, product or issue. PR is at the fore of herding these communities towards awareness and action through authentic and consistent communications direct to many, allowing for sustainable communicative approaches to emerge based on intrinsic values and qualities, contradictory to the current market dominance of advertising and promotion approaches. The true value of PR is in social change and mobilising communities for action. Traditional corporate approaches will be redundant as companies become more real and relational with constituents. Communications is a humanistic discipline and all we need is the collective courage to challenge-up and contribute towards this shift. Catherine Stace is a social change PR practitioner, currently working in a lead communication role at Cancer Council NSW, responsible for communication innovation. In her spare time, she contributes communication strategy to Transform Australia, International Day of Trust and sits on a communication committee for Sydney Alliance. For me, a former practitioner who now teaches PR, definitions matter! The initials PR do not stand for ‘press relations’, despite the urgings of too many agencies staffed by ex-journalists. PR is all about stakeholder communication, in the broadest possible sense. We have ‘publics’ inside and outside an organisation, and many of those can be reached directly, more effectively, with true two-way communication, without the intermediation of a journalist. PR’s value lies in the fact that no business is possible, no revenues can be earned, no reputation established, no shareholder value returned, if there isn’t effective two-way communication. So, simply put, PR is invaluable – it’s not possible to put a price tag on it! That’s why so much of my board-room work has focused on getting the communication skills of senior management right, tightly focused and delivering performance. Everyone has a story. Every business does too. Actively leveraging PR, particularly publicity, to communicate these newsworthy stories, can be a powerful, cost effective promotional activity in astrategic and integrated marketing mix. As with all marketing planning, it starts with clearly identifying the purpose. What are our objectives? What are we trying to achieve? How can this element be leveraged to assist the achievement of these objectives? Identifying the media to which the target audience is exposed is also key. I’ve found publicity particularly valuable in increasing brand awareness and communicating key messages about a product and brand. However, it shouldn’t be relied upon to do this alone. Importantly, in an integrated mix, PR should reinforce all other promotional activities. After all, the strongest, most effective mixes are those which combine many promotional elements, each working together to support the others’ efforts. PR is often misunderstood – seen as either too confusing or as a one-trick pony. Explaining its true value can therefore seem a daunting task. It provides opportunities for creating, renewing and improving relationships between companies and customers, between individuals and ideas or ideals. It provides the necessary feedback to drive continual improvement. It establishes, recovers, improves and maintains reputations for individuals, groups and companies. It is, in fact, critical to the success of an organisation – driving key business outcomes, including crisis reduction and income generation. PR has served immeasurable public good. It is a communications discipline that acts as a vehicle for both engaging and educating key audiences. In doing so, it can provide the impetus for positive change and vital action. Without it we may not learn about the practicalities of organ donation or the need forchanges in animal welfare laws. My personal preference is one of the broadest definitions – that is, managing communication with an organisation’s publics. These audiences might range from employees to customers and from shareholders to government. Really effective PR is about engaging your audiences. And the hard part is moving away from what you think they should know (and this often sounds very much like the dreaded corporate speak), towards understanding what they want to hear, and how they’d like to hear it. My personal mantra is tell it first, tell it simply and tell it yourself – don’t let others set the agenda for you. Just about anyone can line up audiences and shoot messages at them. But if you’re not listening to the reaction to your stories you’re only doing half the job. Luckily, the rise and rise of social media has provided many a forum for previously unheard voices, giving swift, no-holds-barred feedback. Tune in to Twitter and you’ll quickly ascertain what resonates with your publics and what’s dismissed as a bit whiffy. Be aware your stakeholders and influencers will be doing the same. Of course, you should continue to monitor and measure in other ways – ask questions and you’ll be surprised how much you’ll learn. That’s the secret to engaging your audiences. PR is no longer a one-way street. PR is an excellent way to take your business message into the space of ‘news’ rather than advertising. News has authority, credibility, and readership. The catch is that ‘news’ must be ‘news’ and not advertising. To effectively enter the PR space you need to have a story that a journalist believes is news that will entertain their audience. Unlike advertising you do not control the final story and message. With those constraints in mind an effective way of using PR is to generate new information and brand it with your company or product. Market research is one technique for developing news that StollzNow Research and our clients have found effective. Travelling down the ‘research path’ requires some consideration. The research must generate new information, use a robust methodology to withstand scrutiny and, of course, be interesting to journalists and their audience. Google+ (google plus) is here. What now?